Nice Package: Belgian Coffee R.. BREAKING: Paolo Dalla Corte Ta..
Today, writer Andrea James writes a glorious full-page feature for Boing Boing about the oft-ignored balancing siphon brew method (get one from Amazon for $150). The story is paired with a lovely and hilarious (and helpful!) video accompaniment. Vacuum-brewed coffee has been a favorite of connoisseurs since the late 1700s. Originally stacked vertically, a heated vessel of water forces boiling water into another vessel filled with ground coffee. As the lower vessel cools once the heating stops, vacuum pressure draws the brewed coffee through a filter into the other vessel. It’s related to the basic mechanism used in many modern automated vacuum coffeemakers. Borrowing from scientific experimentation, they also moved away from all-metal designs to ceramic and glass flasks designed for laboratory use. When coffee had a major 19th-century resurgence as a fashionable drink, European inventors came up with the idea of using two globes stacked vertically. Soon artisans from Belgium to Vienna were experimenting with creating beautifully crafted versions of the device, sometimes nicknamed “French balloons.” These innovations allowed guests to watch the process as it happened. The most popular types were entirely self-contained and portable. 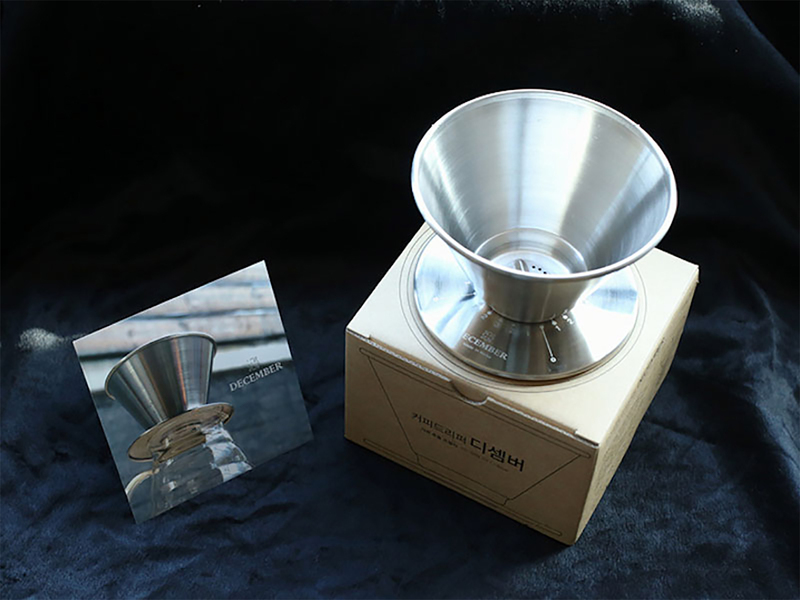 This allowed coffee making to move from the kitchen or hearth to any room in the home. We just can’t get enough of the original brew demonstration video (the images throughout this post are screencaps from it). It’s got wit, style, laughs, and the performer really seals the deal. Perhaps this is the start of a whole series of historical brew method videos for BoingBoing? We suggest the Dutch Boiling Infusion System next. Watch the whole video and read the piece by Andrea James over at BoingBoing. Then go on an even deeper dork dive with this Mark Prince feature on “balance brewers” for Coffee Geek from 2002.